Depression is a common illness which affects a large number of individuals in all societies. 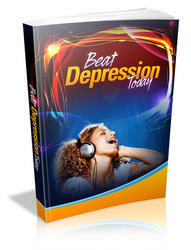 Over 10 per cent of the population will have a depression within their lifetime. The importance of depression as a major public health problem is emphasized by the finding that worldwide in 1990 it was the fourth largest cause of burden of disease (i.e. years of life lost due either to premature mortality or to years lived with a disability), and by 2020 it is expected to be the second largest cause of burden of disease/1,) Depression is underdiagnosed and frequently undertreated, and depressed individuals have a much higher risk for suicide. The primary treatment for depression involves the use of antidepressant drugs, and it is therefore important that clinicians become familiar with and adept in utilizing this important group of compounds. Although primarily used for the treatment of depression, drugs within this category also have a number of other important uses. A thorough understanding of the pharmacology of antidepressants will aid the clinician in the selective use of these drugs for patients with depression as well as patients with a number of other disorders.